What books have you abandoned or put on pause? Have you ever ended up loving a book that you had to put down the first time around? I used to be completely incapable of quitting a book. No matter how much I hated it I made myself read the whole thing. 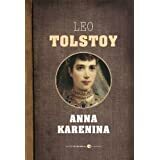 I finished Anna Karenina but spent the entire book feeling like I was crawling through the desert in search of water. It was the same thing page after page and it never seemed to get any closer to being done. It bored me to no end and I couldn't have cared less what happened. When someone told me that War and Peace was very similar I knew I'd never even try to read it because I didn't want to go through that torture again. Then I started reading Doctor Zhivago. I hated it. When I put it down I didn't have even the remotest desire to pick it back up. I simply did not care what happened to those characters. I've read other books that I didn't enjoy (Geek Love, for example) but even though I didn't enjoy it I still wanted to know what happened (and that annoyed me because I felt like I was wasting time reading about characters I didn't like). Not with Zhivago. It was the first book I quit. And I've never looked back. I've never once wondered what happened. I simply do not care. At all. And now when I feel that way I have no problem quitting a book. Peace Corps volunteers tend to read a lot of books. At least back then, we didn't have internet or even phones so we spent a lot of time reading. Whenever we'd make a trip to HQ we'd fill our bags with books from the volunteer library because running out of reading material while at your site was a horrible thing to have happen! And because we had a lot of time to read many of us tackled some of the classics and long-reads like War and Peace or The Brothers Karamazov (which I did read). I ran out of books once. I panicked! Then I picked up a book I'd already read and reread it. I don't remember which book it was. There are a few books I've read multiple times (Catcher in the Rye, Franny & Zooey, Atlas Shrugged, In Watermelon Sugar) because I've wanted to read them again; either because I loved them or because I wanted to understand better. I usually have a couple books going at the same time so I might be part-way through a book and not read any of it for several months but it's not because I've intentionally put it on "pause." The only book I remember quitting and then later reading to the end ended up being one of my favorite books ever: The Poisonwood Bible by Barbara Kingsolver. I had heard such wonderful things about it from other PCVs and it being set in Africa and talking about eating sugar cane and soldier ant attacks resonated with many. I absolutely could not get into it. A couple years ago I decided to try again since it did come so highly recommended. I. Loved. It! I read it twice. I gave it to Angie for the blogger book swap. It is very likely I'll read it again. I am so glad I gave it a 2nd chance! What about you? Any books you've simply put down never to pick up again? Any books you gave a 2nd chance and are very happy you did? Thanks for the prompt, Jessica! Re-reading books is great. I think if you have a few favorites, you'll never be bored. Leave me shipwrecked with all the Harry Potter books and I'll be okay! I've seen a lot of great things about Barbara Kingsolver. I wonder if I'd enjoy her novels! I'm glad you liked The Poisonwood Bible! I recently bought it on my Kindle but another book chatter said she didn't like it, so I was worried about starting it. P.S. - I love your blog tagline! Very funny. I used to never quit books either, but I started with 100 Years of Solitude and never looked back. I have too many books I want to read to spend time not enjoying one. I really hope you like Poisonwood Bible! And I hope you have a fabulous trip!! I really loved the Poisonwood Bible. The last half was a little hard for me to get through but I'm glad I stuck with it. Isn't it funny how some of those "classics" are some of the hardest to get into? Great post for the link-up!